I love Yukata and Kimono with their color variations and their elegant shape. Until now I only had the opportunity to wear a Kimono once, but it was a really great experience for me. Did you know that in Bavaria (in the south of Germany) we also have some beautiful traditional clothes? The female version is called ‘Dirndl’ and the male version is called ‘Lederhose’. 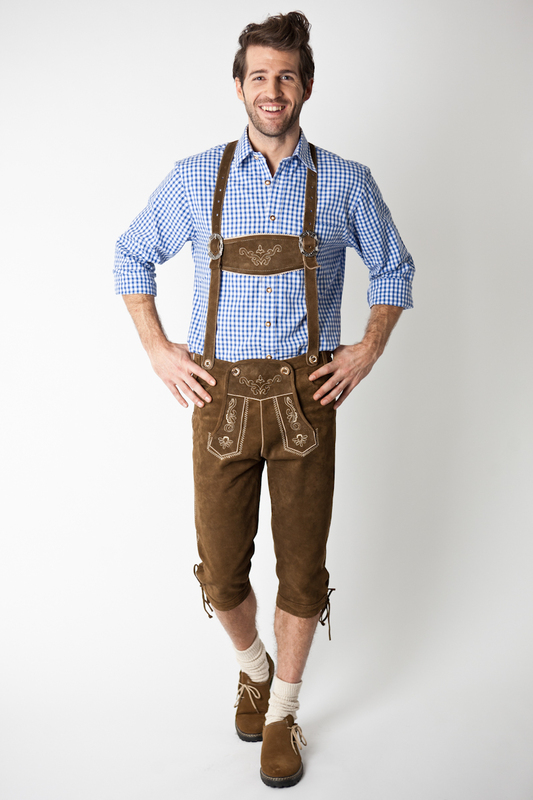 In Bavaria we mainly wear the Dirndl and Lederhose to different festivals, like the Oktoberfest (very popular beer festival in Munich) or similar smaller festivals, which take place from spring to autumn, but some people also wear it when they attend a wedding party or also on other occasions. Like Yukata and Kimono, there are also big price differences when it comes to Dirndl and Lederhose and especially the Dirndl comes in various shapes and colors. There are for example more traditional versions of the Dirndl, which have a foot-long skirt and do not expose too much cleavage. However, especially among younger women the sexier versions are very popular. 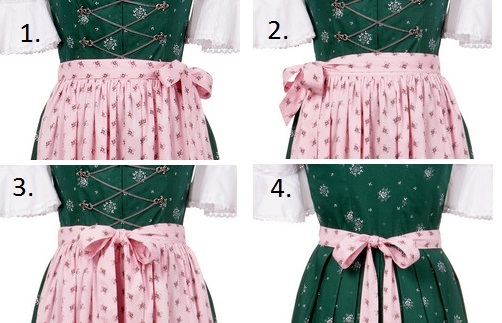 Furthermore there are some rules for tying the bow of the Dirndl. I made a picture for you for easier understanding. Number 1: Bow on the left side means that the girl is single. Number 2: Bow on the right side means that she is in a relationship or married. Number 3: Bow in the middle means traditionally that she is a virgin. Number 4: Bow on the back means that either her husband has passed away or that she is one of the waitresses. Since arriving in Japan something I have had to work hard at is learning how to cook again. Not because I can’t cook, but because most of recipes I know, the ingredients are not available here. This has meant learning to cook a little Japanese food and adapt the recipes I do know. I still have a long way to go in terms of my Japanese cooking but this week I successfully baked a plum cake! I used a recipe my Grandma always used to use and I always remember her baking the plum cake in the autumn. The first challenge was working out what to substitute for two of the main ingredients – golden syrup and muscovado sugar. Golden syrup is something of a British institution (a bit like Marmite – there’s nothing quite like it) so replacing it was difficult. In the end I used honey and Okinawan raw cane sugar which worked well. After mixing all the ingredients the main challenge was the electric oven. I can’t read kanji so after a lot of beeping and button pressing the oven seemed to be heating up. I eventually worked out the timer and 45 minutes later a cake came out! For my first attempt at baking in Japan I was pretty pleased with the results. See you at the cafe soon - come and share your cooking stories with me! My names Zac, I come from Chirstchurch, New Zealand. My original reason to come and live here in Sapporo was to play rugby for the local team Hokkaido Barbarians. Whilst I came here to play rugby I didn't expect Sapporo to be as amazing as it has been. I am enjoying the people, the food, the culture and the current warm climate. Although I am bracing myself for the winter that is forever getting closer. Where I come from in New Zealand, the area has a very controlled climate that is mild in the winter and warm in the summer. A vast change from here in Sapporo. Overall I am loving my time here and talking to everyone at chit chat cafe has been really enjoyable. I look forward to seeing you all there. How did you spend your Sunday? 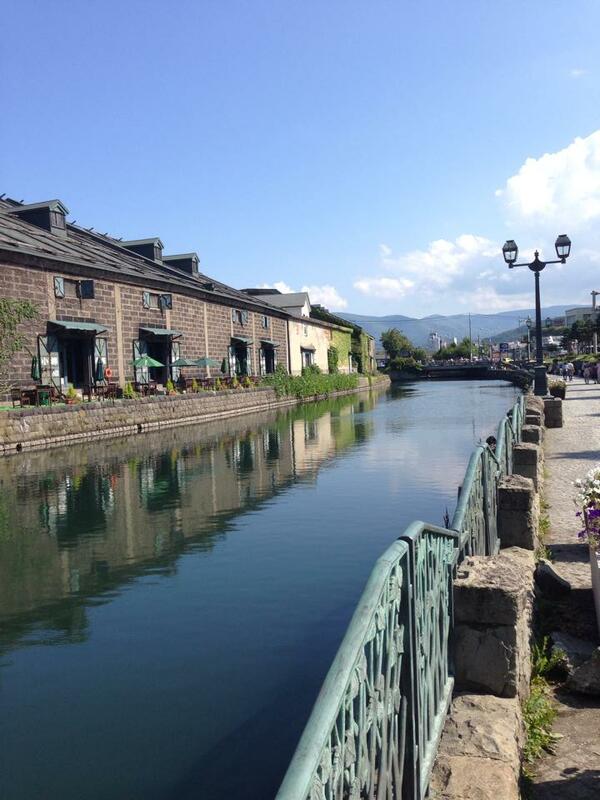 Since the weather was so nice and sunny, my boyfriend and I rented a car and went to Otaru! When we arrived we decided to eat something at a restaurant in a fish market. The food was really delicious and not too expensive (I had some Sushi Teishoku which consisted of Sushi, Tamagoyaki, Tempura, Sashimi and Miso Soup). Luckily we had lunch there, because when we went to the touristic area near the famous canal, we recognized that the prizes for lunch are three times as much! 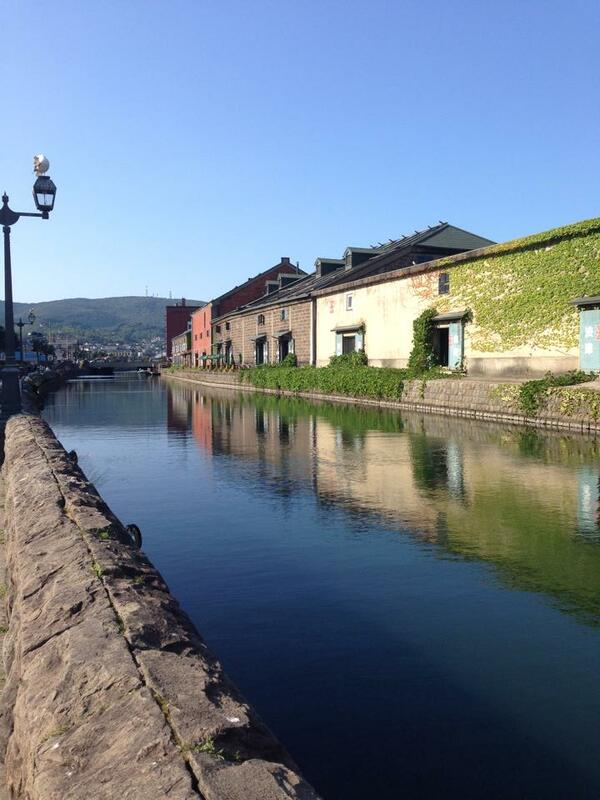 We took a walk along the canal and enjoyed the lovely weather. The water of the canal had a very beautiful color. It was something between blue and dark green and watching it had a very relaxing effect (I attached some pictures for you). I had read that Otaru is quite famous for its glass works and I planned to buy something for at home. What about you? When I buy souvenirs, I rather prefer things which also have a practical value (For example in Prague I bought a nail file, or in Kiev I bought a pocket mirror). 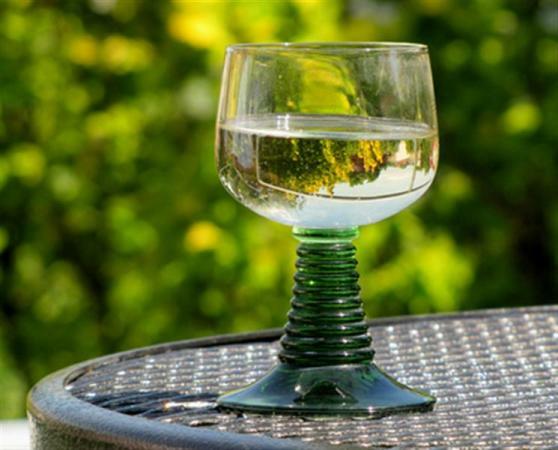 Therefore I decided to buy two colorful glasses, which can be used for soft drinks as well as for alcoholic beverages, like whiskey or wine. The special point about those glasses is that they can swing, since they are completely round at the bottom, but at the same time they do not fall over. This swinging supposedly helps the taste (e.g. 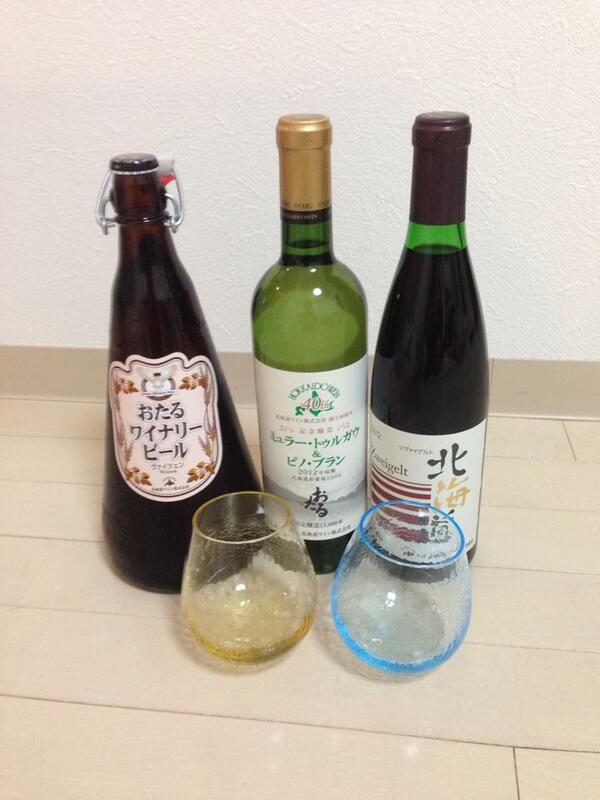 of wine or Japanese sake) to evolve. 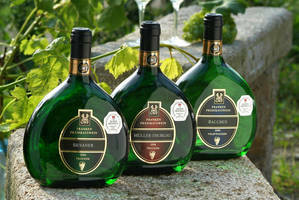 Furthermore we went to a winery in the mountains and bought there a “Weißbier”, a red wine and a white wine (I attached a picture for you). We were told that the Wine in Otaru is influenced by German wine and that the vintners, who work there, are being sent to Germany to learn something about winegrowing and about the production of wine. The service there was very good and you could have a taste of any wine you wanted to try. The white wine we finally bought seems to be influenced by “Frankenwein” (picture a) (traditionally white wine which is produced in the area from where I come from). It has a fruity taste and is at the same time not too sweet. At this Otaru-winery you could also buy glasses for Frankenwein, which quite surprised me. The foot of those glasses is traditionally dark green (picture b). All in all we had a really great time! Please tell me how you enjoy the rest of the summer when you come to Chit Chat Café!